Follow RT for the latest news and stories about Scottish independence. Scotland has been seeking independence from England for centuries. 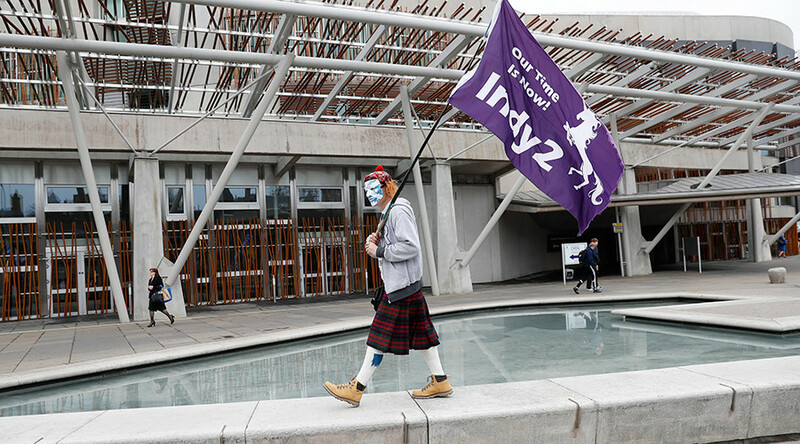 Get articles and history news on Scotland and its independence movements. Many believe that the country's economy will improve after Scottish independence, yet in a referendum held in 2014, the majority voted to remain in the UK. Find news on the economy of Scotland, as well as on the referendum held there in 2014. Also, don't miss news and updates on internal relations between the UK and Scottish governments. Edinburgh’s streets turned blue on Saturday as tens of thousands of Scots marched to demand independence. The high attendance is in defiance of London’s insistence that there is no “appetite” for independence in Scotland. 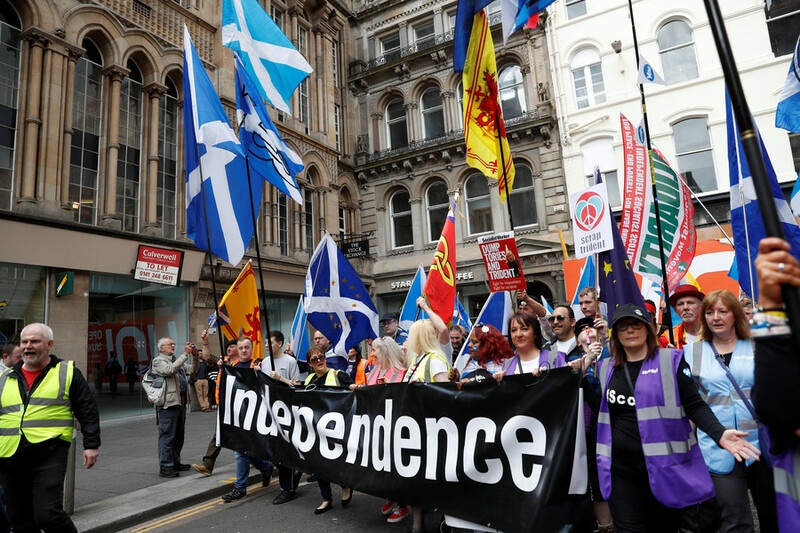 Thousands of people have hit the streets of Glasgow to march in pro-independence rallies. 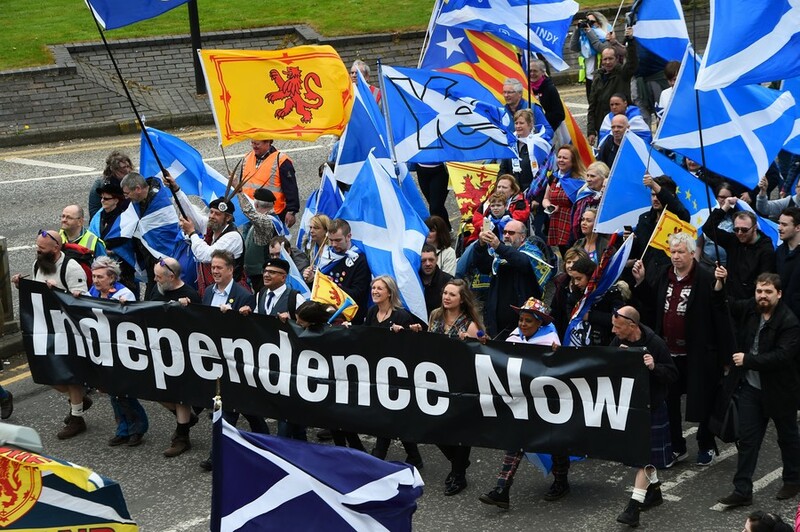 It comes as Scotland, which opted to remain part of the UK in a 2014 referendum, sees the movement re-emerge in the wake of Brexit. 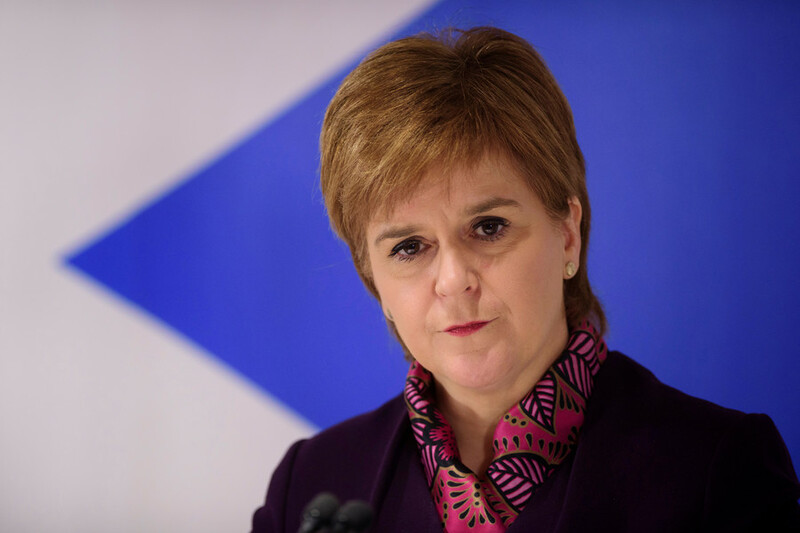 Reports that the Scottish government plans to exclude the Union Jack flag from all but one event has been branded "fake news" by Scottish First Minister Nicola Sturgeon, despite the story sparking outrage among Tory MPs. 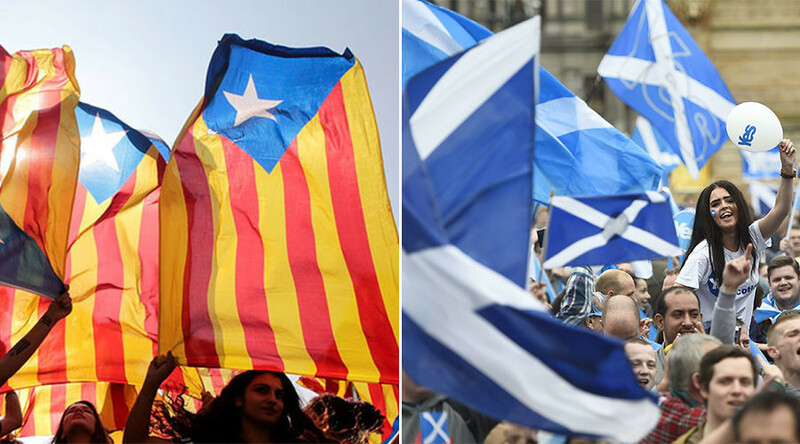 Are Scotland and Catalonia’s independence struggles symptoms of EU oppression? Could the real cause of Catalonia and Scotland’s movements for independence be the European Union’s efforts to suppress campaigns for national sovereignty across its member states? 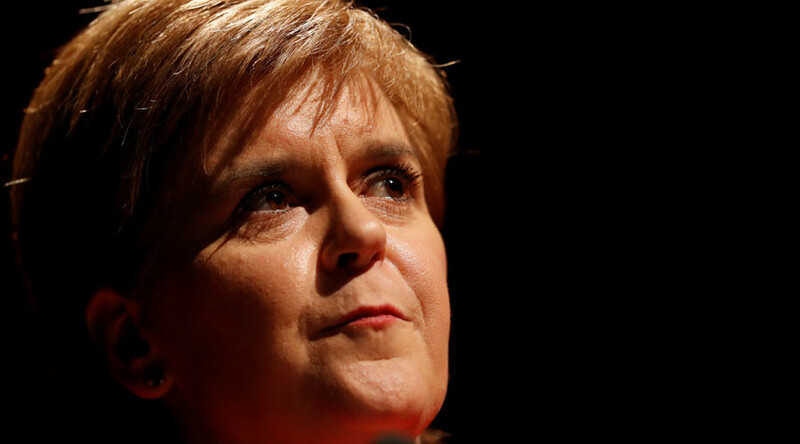 Support for Scottish independence has plummeted to 40 percent among Scottish voters, according to a new poll, further undermining First Minister Nicola Sturgeon’s plans for another referendum.